If you have recently invested in winter snow tires for your vehicle, this was a great decision. A winter tire is designed to keep your vehicle safe while you are on the road in snowy conditions, icy conditions, mixed precipitation, etc. What is important to think about is what type of tire you are going to use when the weather turns warmer outside. You don't want to keep using your winter tires when it's warm outside. It is inevitable that you will wear down the tread of your tire before the next winter comes around. 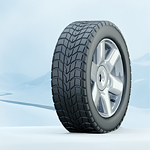 The rubber for winter tires is not the same product used for summer products. The tread is also designed very differently. In order to stay safe throughout the year and protect your investment of new tires, use a separate set of snow tires for the winter and summer tires for spring and summer.